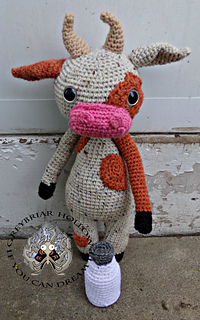 Mortimer Moo is the second of the Hugging Friends. 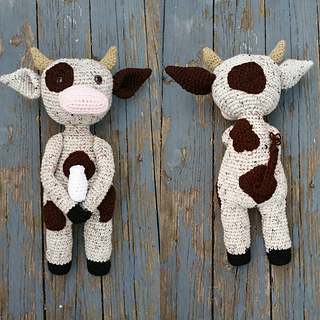 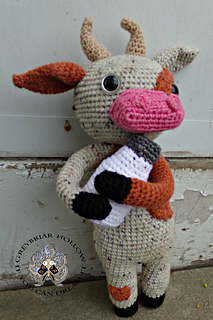 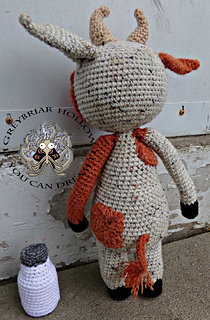 He comes with the pattern for his sweet little retro style milk bottle. 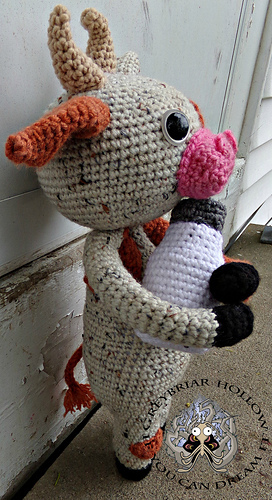 Using foam hair rollers in his arms means he is poseable and can hug anything he gets his arms around.